Reverend Dr. Tom Alexander Jr. serves as the Pastor of Christian Education and Leadership. Dr. Alexander is married to Deaconess Alaisha Alexander, and they have three sons, Jarius, Xavier, and Caleb. He was licensed in 1994 at Kone Missionary Baptist Church in his hometown Brandon, Mississippi. He was ordained in 1997 at Spirit Creek Baptist Church in Augusta, Georgia. 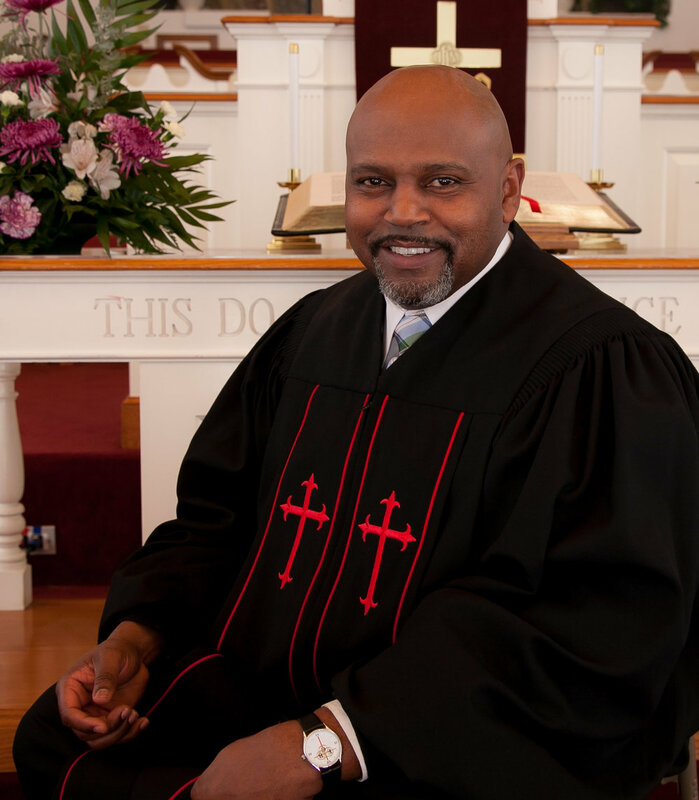 He has served in ministry for nearly 23 years in numerous positions to include Pastor to Associate Minister. He has served in various ministries to include Children’s Church, Youth, Evangelism, Outreach and Jail ministries. Dr. Alexander received his Doctorate in Ministry in Educational Leadership from Virginia Theological Seminary. His doctoral work focused on the transformative work of biblical mentoring in public schools. He holds a Masters in Education from Drury University, a Masters in Military Arts and Science from the United States School of Advanced Military Studies. He earned his Bachelor in Science in Mass Communications from Jackson State University. Currently, he serves as an English Language Arts teacher at the Grace E. Metz Middle School. Before becoming a teacher, he served 21 years in the United States Army and retired as a Lieutenant Colonel. The Pastor of Christian Leadership and Education is tasked with the identification, development, and implementation of core curriculum and seminars that encourage and effectively develop clergy and laity in Christian discipleship and leadership. This pastoral staff member is vital in leadership training, teaching, and curriculum development. They are responsible for the effective planning and execution of our Center for Biblical Studies, Sunday School classes, Vacation Bible School, and other areas of teaching ministry. Working in collaboration with ministry teams and Christian Education which relate to the administration of discipleship and leadership. Leading in the design and implementation of the church’s Christian education and leadership program. Develop, refine, and communicate the vision and values of Christian leadership and educational discipleship. Relating directly to Church supported Christian Education endeavors, seeking to relate them to the church family and assist in addressing their needs and concerns. Giving counsel to present and potential educational leaders and teachers. Developing a year-round program of Christian leadership and education into the life of the church. Overseeing the development of Christian leadership and educational events, such as Sunday School classes, Center for Biblical Studies classes, Leadership seminars, Christian Education week, Vacation Bible School, etc. Encouraging persons to be involved in educational pursuits and leadership within the community as well as worldwide. Encouraging teachers and other leaders to use materials interpreting Scripture and Christian leadership principles. Recommending, developing, and overseeing Christian Education service projects (in conjunction with national, regional, and local programs or as a sole church event) involving members of the church. Assist the Christian Education ministry in the preparation and interpretation of the Christian Education budget. Act as a liaison with the greater ecumenical community and between FBC ministries regarding education and leadership related matters.